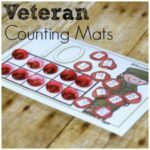 You want them to memorize their addition facts and they want to play. Just imagine if there was a way to do both. Ah but there is! 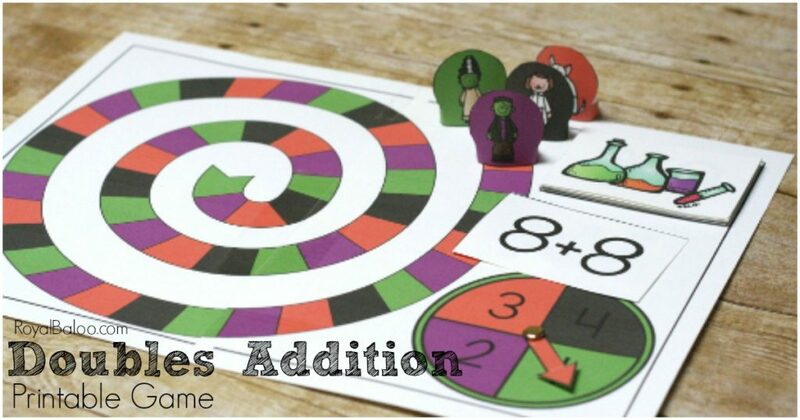 Making addition fact practice a game can entice them to play and learn longer! We’ve done our fair share of addition games (St. Patricks Day Make 10, Finding Dory, Dinosaur Sums 10-20) and they’re always a hit. We are working on memorizing doubles right now, so I thought I’d make a doubles game. 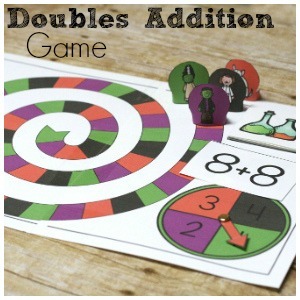 I like using games to isolate certain types of facts, like making 10 or doubles. When working on memorizing facts we typically try to focus on just a certain set at a time and I like the games to reflect that as well. And I think it works pretty well! 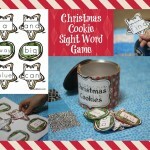 This is day 4 of the 31 days of Printables! Don’t miss the other days! I was looking for books to complement the game (and other Frankenstein themed packs that I’ve done) and there are surprisingly few Frankenstein books. These are two I did find though. I used cardstock (love this add-on cardstock on Amazon) on our game so it would last a bit longer. I didn’t bother laminating it though because I didn’t think it would work well with the double page and I don’t think we will need to keep it that long. 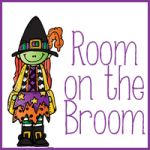 We won’t hold it for next Halloween, so it doesn’t need to be stored. When making printable games I try to keep things as simple as possible. After all, we don’t need more complexity in things like this. The game pieces are printed out. They have tabs on either side. Just tape them together and the pieces stand up on their own. Nice and easy! 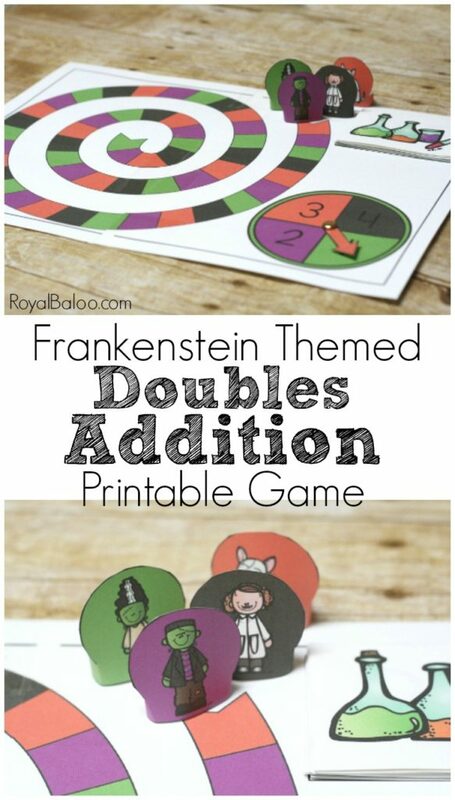 There are four characters in this game – Frankentein, Frankie’s dog, Frankie’s wife, and Dr. Frankenstein. The boys all wanted to be the dog…but they’re not really familiar with Frankenstein yet. The cards are actually portions, or so the game goes. I only printed off one set of the cards (there are some repeats in the set) but I think 2 or 3 sets would have been better. We had to reuse the cards a few times. The idea of the game is to collect as many portions as possible. You can make it a collaborative game by seeing how many you can collect as a group. I like to make games more collaborative instead of competitive. But if competition is your thing – see who can collect the most potions before they reach the end! 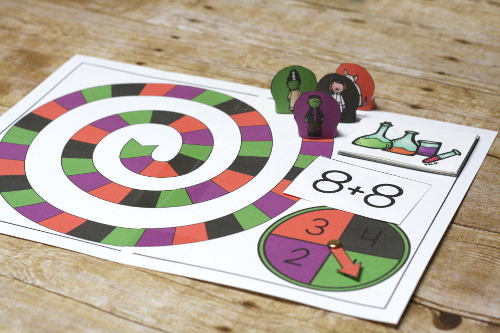 A spinner in included right on the board! I included an arrow but I have to admit, we used a pencil and paperclip. The arrow just doesn’t spin all that well. There is a place for the cards in the upper right hand corner. Set up your spinner with the arrow or paperclip/pencil. The pieces all start on the outer ring. First player (usually youngest) goes first. Spin the spinner and move that many paces. When you land on a spot, draw a potion card. If you answer the problem right, you keep the card. If not, replace the card in the pile. The addition problems on the cards range from 1+1 to 10+10. They are all double facts. We ended up playing this game yesterday in lieu of math and Royal and Logi-Bear had a blast. They loved gathering potions and definitely had some of the math facts memorized by the end. Don’t forget to sign up for the 31 Days of Printables newsletter to receive updates just ONCE a week.